HVAC system and ducts allow constant airflow in your house or office. The average 6 room house collects over 40 pounds of dust each year. Clogged ducts compromise airflow, indoor air quality, HVAC system, and affect the wellbeing of everyone indoors. However, air duct cleaning services can ensure that your ventilation system is efficient. Residential air duct cleaning: before and after. Being such an important part of the HVAC system, it’s a pity that the ducts in most properties are taken for granted and forgotten during the usual heating and air conditioning maintenance. Since most people spend 90% of their time indoors, it should be a priority to ensure an efficient and clean ventilation system. However, many homeowners don’t even think about checking their ducts unless there is something seriously wrong. At HVAC Experts, we believe that every residential and commercial building should have an efficient HVAC system and consistent, effective airflow. 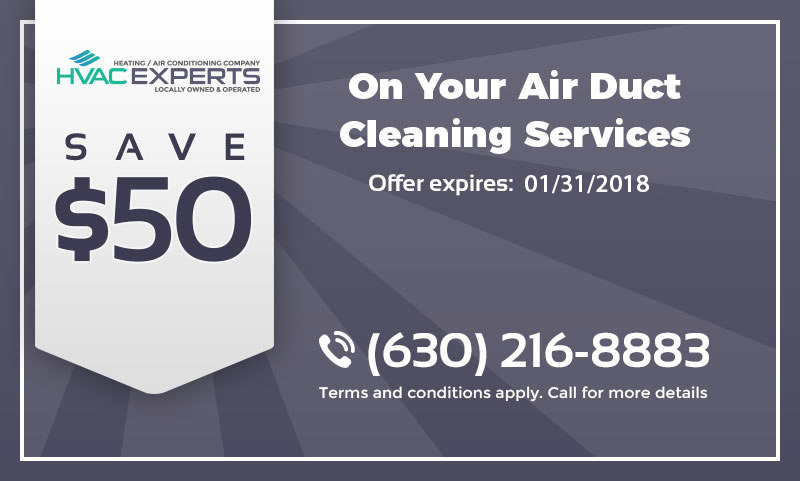 This is why we invite you to take advantage of our free on-site appointments in Chicago and have a professional determine if your ducts need to be cleaned. Mold growth inside any of your heating or cooling system components. Ducts are infested with vermin or animals. Noticeable debris, pet hair, odors or other contaminants released into the room through the ducts. Recently completed renovation, especially when asbestos abatement, lead paint removal was conducted or excessive amounts of dust were created, and your ducts weren’t covered during the process. Someone in your household or office is suffering from unexplained allergy-related illnesses when you’ve taken every other step to decontaminate the indoor environment. If you have noticed any of these indicators, we recommend cleaning the air ducts in your home or office and choosing experienced, professional contractors at HVAC Experts. Call us at (630) 216-8883 and schedule your free inspection, and we’ll make sure that the ventilation system in your building is cleaned completely and thoroughly. When is air duct cleaning essential? Is cleaning the air ducts really worth it? You may think that changing your air filter is enough to ensure good indoor air quality, but did you know that typical fiberglass furnace filters are less than 7% efficient? Furthermore, EPA states that “If not properly installed, maintained and operated, these (heating and cooling system components, including ductwork), may become contaminated with particles of dust, pollen or other debris. If moisture is present, the potential for microbiological growth (e.g., mold) is increased and spores from such growth may be released into the home's living space. Some of these contaminants may cause allergic reactions or other symptoms in people if they are exposed to them.“ This is why cleaning the ductwork in your home can prove beneficial to your health, especially if you or someone in your household suffers from allergies, asthma and related diseases. Most of our clients report improved airflow and HVAC system efficiency, as well as reduced allergies and slower dust accumulation after the ducts in their home have been cleaned. Most of our clients report improved airflow and HVAC system efficiency, as well as reduced allergies and slower dust accumulation after residential or commercial air duct cleaning services have been conducted. And even though air duct cleaning isn’t on the usual maintenance list, we strongly suggest hiring a professional to check if your ventilation system is dirty. Having a clean ventilation system is beneficial both to your health and your wallet - when done correctly, cleaning the air ducts can increase the efficiency of your HVAC system by up to 40%, meaning you will be saving on your energy bills, too. Whether or not cleaning the air ducts is worth it is completely up to you, but there is absolutely no harm in having a clean ventilation system in your home. And when you work with experts of the industry like HVAC Experts, during your consultation we advise you if it would be beneficial for you to clean the ducts, or if it’s clean as it is. When your home or office is damaged by a fire or a flood, it doesn’t just affect the interior and exterior of the building - the damage extends into the ductwork as well. And when your property is being reconstructed, renovated or remodeled, dust gets into the air ducts and is released into your indoor air.  You can get rid of the aftereffects by calling HVAC Experts in for some assistance, and we will restore the fresh airflow in your home or office. Ventilation system inspection We asses the current state of your ductwork and inform you if duct cleaning would be beneficial to your household. System accessibility evaluation We evaluate how hard or easy it will be to clean the air ducts and give you a price estimate based on our conclusions. Cleaning of the entire ventilation system This includes the entire heating and cooling system. Specialty cleaning services including coils, fans, drain pans and humidifier cleaning also available. Letting you inspect our work We guide you through the cleaned ductwork, allowing you to evaluate our work. Maintenance recommendations Before we leave, we offer advice on how to ensure that your ductwork doesn’t become polluted anytime soon. Fires leave a lot of damage behind, and ductwork is no exception. Especially if your HVAC system was operating during the time of the fire. Since the forced air ventilation system is very efficient at spreading smoke, the fire and smoke damage probably extends far beyond the area of the fire, and the particles that settled in the ductwork will be spread into your indoor air every time your air conditioner is active. This is why duct cleaning is vital after a fire - professional contractors use highly efficient measures to remove any damage and pollutants from your ventilation system so that you can enjoy a healthy and safe indoor environment once again. While it’s highly recommended to seal the vents during any renovation, remodel or construction work, many contractors need a running HVAC system during the process. This is because most renovation work occurs during the hot summer days and the air conditioning is used to control moisture which benefits the interior finishes and fittings. While filters are supposed to prevent dust from entering the ductwork, the truth is that the amount of dust is simply too overwhelming for a typical air filter to stop all the particles from getting inside your air ducts. This is why we highly recommend considering air duct cleaning after a renovation or construction work in your home. Floods don’t just bring moisture, mold, and dirt into your home - all of those unpleasant substances get into your HVAC system and ductwork, too. In addition to being submerged in flood water, your heating, ventilating and air conditioning systems capture a whole lot of dirt, debris, bacteria and other microorganisms. Left untreated, they cause HVAC system malfunctions, inefficiency and pollute your indoor environment. So, when you’re receiving post-flood mold remediation for your home, don’t forget about cleaning the air ducts and your HVAC system. Want your home or office to be energy efficient, healthy and smelling good? 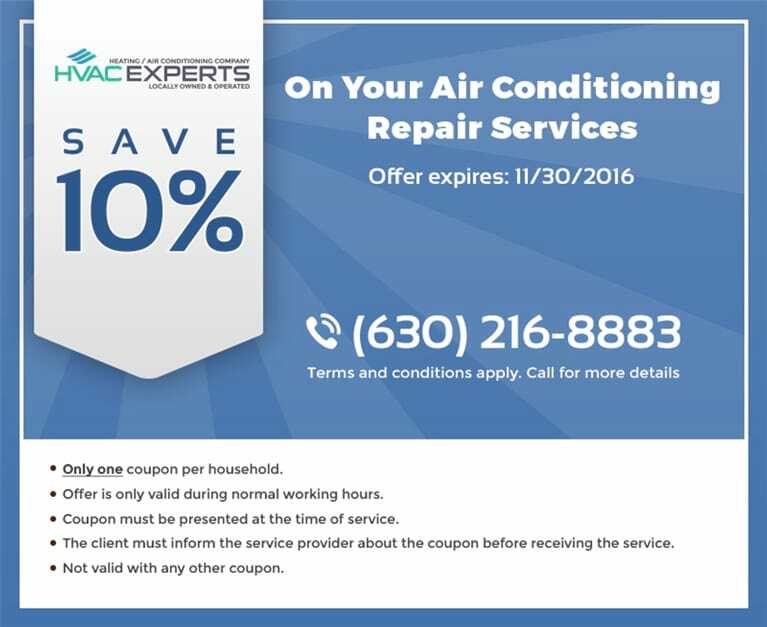 Contact HVAC Experts for a free duct inspection in Chicago, and we will ensure that your air ducts are cleaned thoroughly. We don’t just sweep the ducts - we address every component that your indoor air passes over, and that includes coils and the central system. We think that you deserve to have a healthy indoor environment - if you agree, call us at (630) 216-8883 and let’s talk about your indoor air quality! 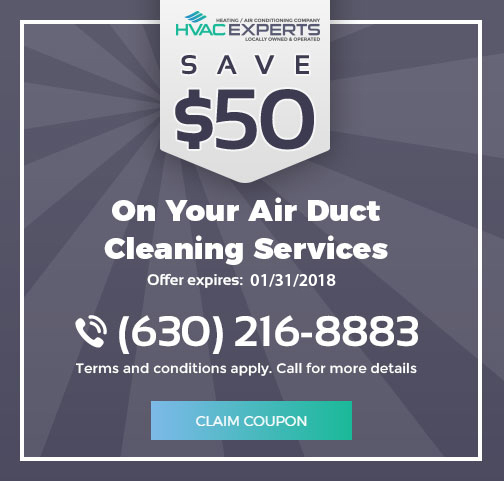 Save $50 on air duct cleaning services!